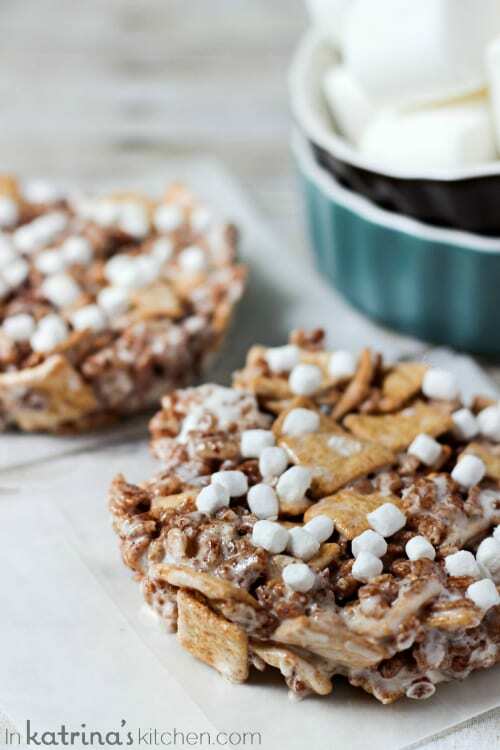 These S’mores Cereal Treats for Two are the perfect choice when you only need a small batch of treats and no leftovers hanging around the house. No baking! Raise your hand if you have 2 kids. Raise your hand if they are already bored with Summer. This recipe is for you. We are mere days into summer break and my kids are already tired of their toys and books. My oldest wants me to play with him nonstop beginning at 6:00am. A mom can only play a game that has no rules except those that are made on the spot and favor the person making said rules for so long. Especially when breaking those rules results in a total meltdown from the person enforcing them. Also, can we talk about why children were not made with the ability to sleep until at least 7:00am on summer vacation? Or at least on weekends? For a fun little break in the day I had my arbitrary-rule-making, rising-at-the-crack-of-dawn children make these S’mores Cereal Treats. They loved this recipe because they each got to make a personalized dessert. I loved it because I didn’t have to turn on my oven and there were no leftovers taunting me all weekend. I cannot resist a whole pan of Rice Krispie treats calling my name; I just can’t. And let’s be honest here- we’re friends, right? I loved them because it took my kids at least 2 minutes to eat them. Make it for the kids. Or make it for you and your man. Or your lady. Or keep both for yourself. I won’t judge. Waking up at 6:00am and playing all day long is brutal. I don’t know how kids do it so well. 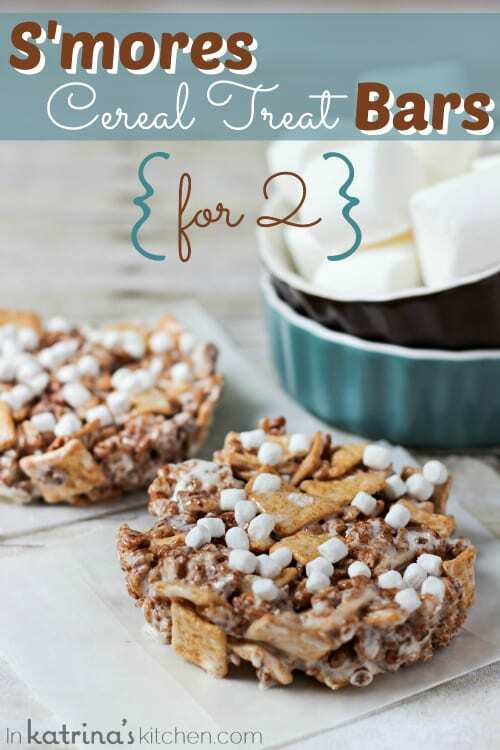 These S'mores Cereal Treats for Two are the perfect choice when you only need a small batch of treats and no leftovers hanging around the house. No bake and easy clean up! Place 8 marshmallows in a microwave safe bowl and melt in the microwave 15-30 seconds. Stir in butter and mix with a spoon until melted and smooth. Pour in cereals and mix until combined. Spray 2 small ramekins with non-stick cooking spray. Divide cereal mixture in half and press into each ramekin. Sprinkle with mini marshmallows or mini chocolate chips if desired. Let set at least 10 minutes. Want to make a large batch? Love these! Normally when I do something like this, I just use golden grahams but I totally want to try with cinnamon toast crunch. I bet they were awesome! Cinnamon Toast Crunch is my favorite cereal of all time. You MUST try them in these bars!! Thanks Kayle! I am addicted to no-bake treats right now. Love the cereal choice, my son would too! Are these pics with your new camera? They look awesome! Thanks! And yep- the new one. I’m in love with it!! These are a dream come true. 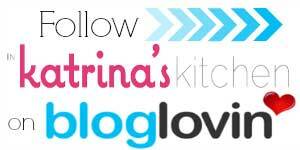 LOVING the cereals you used Katrina! Those mini marshmallows – I’m dying; they are so cute on top! Thanks Sally! The tiny marshmallows get me every time too! Good gosh, girl! 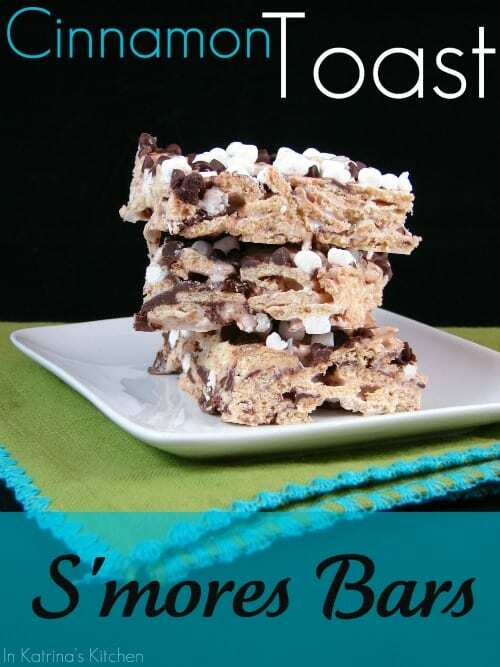 Your S’mores Cereal Treat Bars are off…the…chain! They look insanely good. 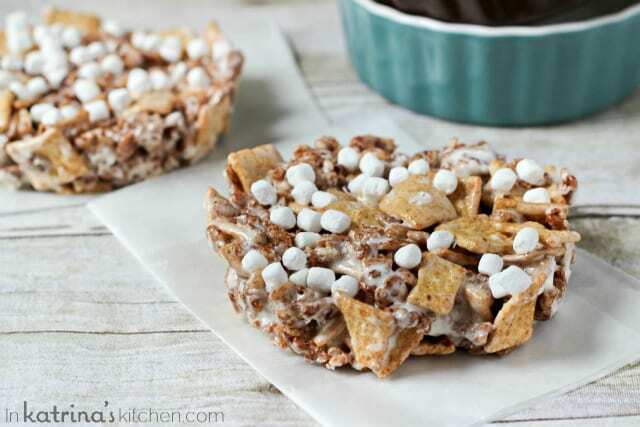 So innovative using the Cocoa Crispies cereal. When I was little, and Golden Grahams first came on the scene, I made my own S’mores cereal treat with melted butter and marshmallows, LOL! At the time, I only had that cereal and chocolate chips at my disposal. But, I did fantasize using Cocoa Puffs in them! You crack me up! Why were we not childhood friends?! Love that this serves two! I take this as two for me and none for my husband. Of course you can tell I don’t have the kids…yet! I guess then I will have to share. I’m raising both my hands since I have four kids. And both my feet, because I want some too! These look awesome. 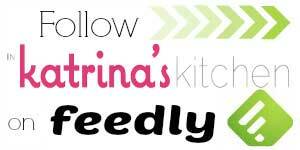 These look incredible, Katrina! 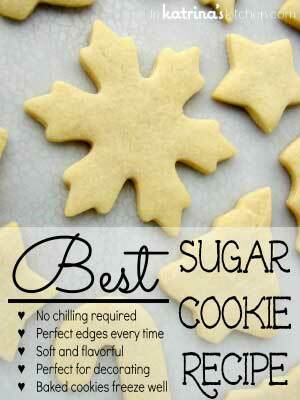 So decadent and dangerously easy! Love ’em! Smile. This makes me think back to childhood. Not only did I love smores during the summer but cinnamon toast crunch was my favorite cereal! Thank you so much for sharing! Just delicious! Monet! It’s been too long- thanks for stopping by! I hope you are well. It’s torture! And letting them stay up later doesn’t work. They just wake up at the same time…and they are crankier! Haha! Seriously though, why dont kids ever want to sleep?! (not that I really know but…) You’re so smart making this for two! I need to start cutting my recipes back like that! I am all about smores too, so Im all about these!! Summer break is a cruel joke! I’m starting to scale back my desserts because I am just making SO many sweets these days. yum! I love the idea of making treats for two. Then your not stuck with a dozen and feel tempted to eat them all. Yes- because I WILL eat them all! Thanks. I love these 2 cereals together. I already told you this, but I want to say it again….I love these photos so much! You are rocking that new camera! 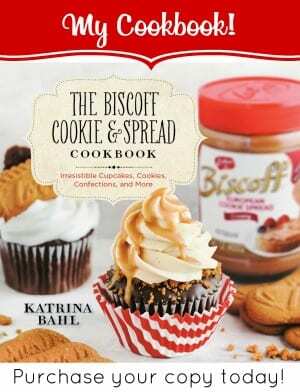 And this recipe? I die. I would totally not share these with the kids or the husband. All for me, dude. Thank you! I am in love with it. And yeah I’ve totally made this recipe a few times this month! Yes 2 minutes was not nearly enough! Glad to know I am not the only cereal addict. Yes 2 minutes was mot enough! I’m glad to know I’m not the only cereal addict. OMG I need these. I’m a s’mores addict, and that fact that these are so easy makes it dangerous for me. Thank goodness it’s a small serving size. Love, Love LOVE!! I made something similar to this when I had my girlscout troop. MUCH easier than the whole making smores thing, that and the school didn’t allow campfires. Oh well. 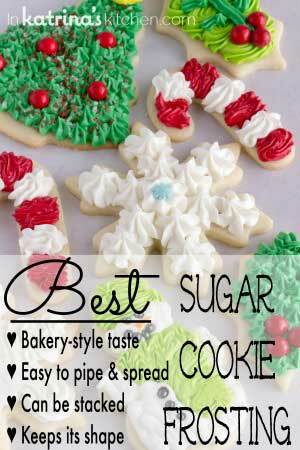 These treats remain a favorite!! My husband hates watermelon so the kids and I got to munch on these all by ourselves. YES!!! My kids are bored already! Can’t believe it! I think I need to have my kids try this, they’d love it! I may have them make treats for the whole neighborhood so I can have several minutes of silence!